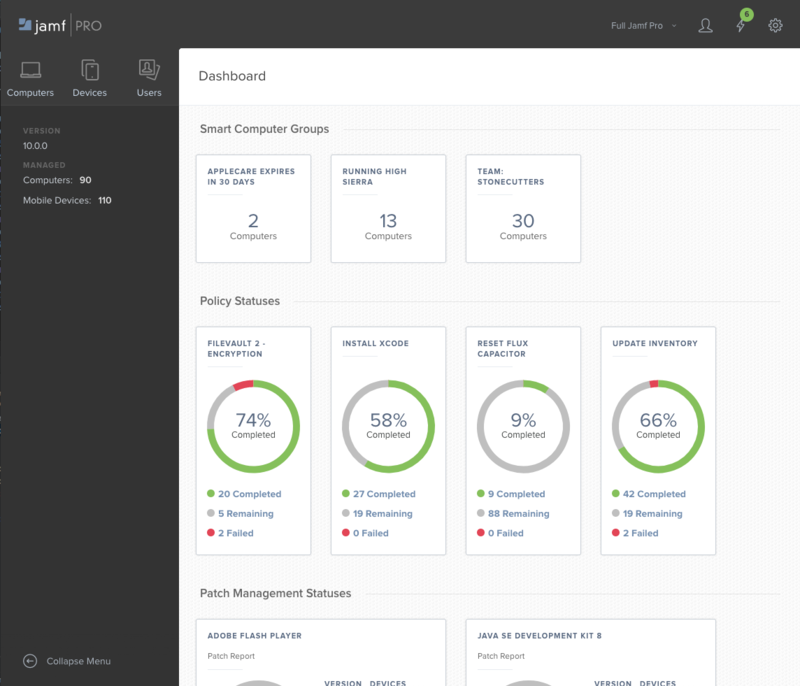 The Jamf Pro Dashboard allows you to monitor the status of commonly viewed items in Jamf Pro, such as smart groups, policies, configuration profiles, patch reports and licensed software—all in one central location. You can access the Dashboard by clicking the Jamf Pro icon in the top left corner of the page. 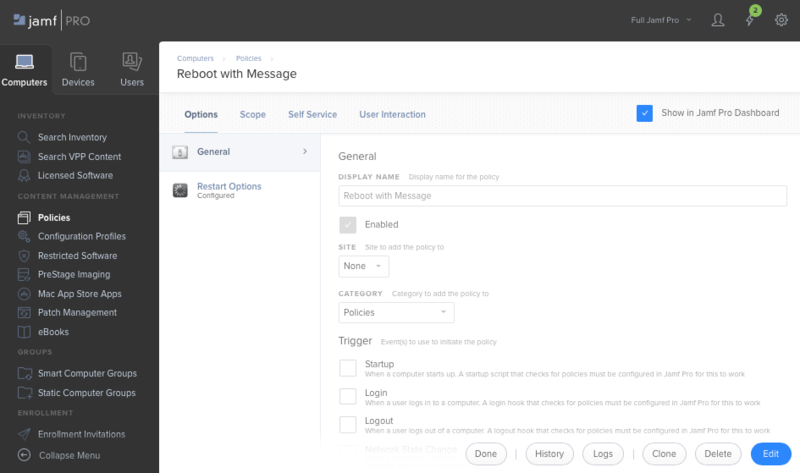 Note: Until you add one or more items to the Jamf Pro Dashboard, it displays setup tips that you can use to configure commonly used settings. To add an item to the Jamf Pro Dashboard, select the Show in Jamf Pro Dashboard checkbox in the upper-right corner of the pane when viewing the item in Jamf Pro.